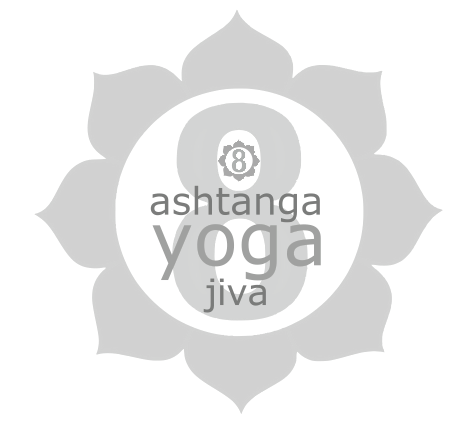 Ashtanga classes start and finish with a mantra, in sanskrit. The mantra may be sounded aloud together with the teacher, or quietly/silently by each student at the start and finish of their practice. 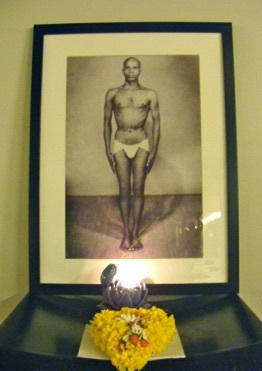 The opening Mantra is in acknowledgment and gratitude to yoga teachers, including Patanjali, author of The Yoga Sutras. The closing mantra is wishing peace and well-being to all creatures. I bow to the lotus feet of the supreme guru, who teaches knowledge, awakening the great happiness of our true self. Like a jungle physician able to remove the poison of conditioning and illusion. An upper body of human form, carrying the conch of divine sound, the discus of infinite time and the sword of discrimination. With a thousand radiant heads, I bow to Patanjali. May the well-being of all people be protected. May all the people of the world be happy and prosperous.